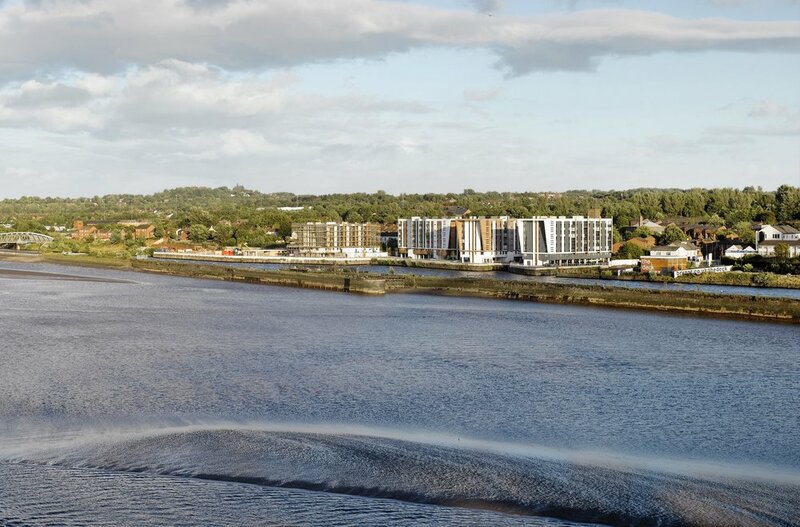 This mixed-use development of 466 units sits on a linear site overlooking the River Mersey for Taylor Woodrow Developments. The architectural challenges presented by the site, which has a strong industrial heritage, but sits within a tight urban grain, offered opportunities to create a scheme that would strive to enhance and celebrate this area. Taking its lead from the quay’s history of boat maintenance, the analogy of several ‘moored residential vessels’ created the opportunity to generate a refined and exciting architectural response. 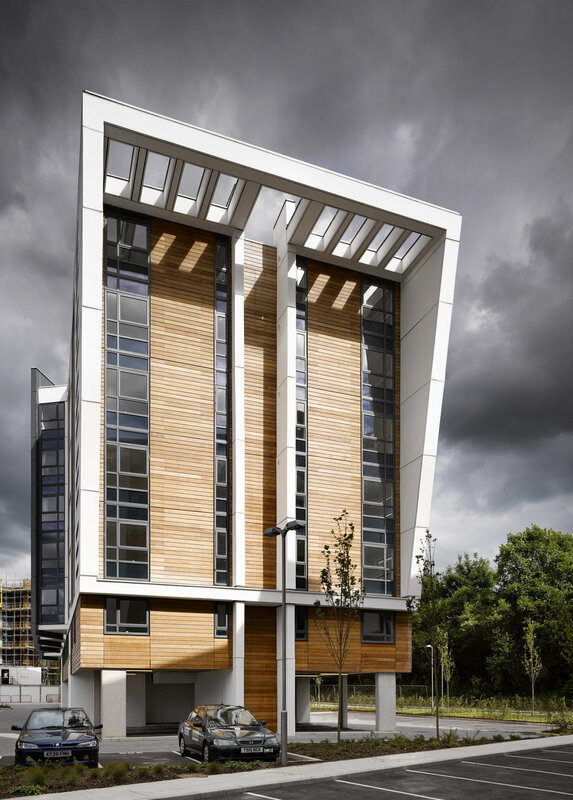 ‘Floating’ above the site, the ‘vessels’ sit on stilts allowing maximum visibility across the site from pedestrian level, creating a sensitive and non-obstructive parking solution and facilitating a natural flood protection by rising the first level of accommodation above ground level.